How Do You Use a BBQ Mat? Ceramic Non Stick Pans Review – What’s the scoop on these? Copper Grill Mat – Are They Better Than the Black Ones? There has been a debate for years now over the safety of Teflon cookware, specifically the polytetrafluoroethylene coatings that are applied to nonstick pans, and the PTFE fabric used to make the popular BBQ grill mat and baking mat. 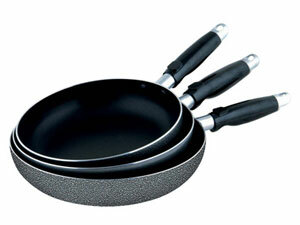 Some people even question whether there is such a thing as safe nonstick cookware at all. So we’ll take a closer look in this nonstick bbq grill mat review. PFOA – what is it? Most of the debate centers around a chemical formulation called perfluorooctanoic acid (PFOA). This is not actually an ingredient in the cooking pans or the bbq grill mats. 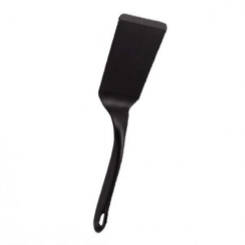 Rather, it’s a catalyst used in making of all fluoropolymers, such as PTFE, which is the primary formulation used in most of the nonstick kitchen tools currently available. The controversy took root over a decade ago in 2003 when an independent organization known as the Environmental Working Group filed a petition with the CPSC requesting that all products containing PFOA material (this includes the well-known Teflon coating) be labeled with a safety warning. The CPSC ultimately concluded that no warning was necessary, but they also set a goal to phase out the presence of PFOA in kitchen products by the year 2015. The actual nonstick material used in these products is the PTFE coating, not PFOA, and it isn’t actually necessary for the final product to contain any of the culprit acid at all. Many manufacturers were producing PFOA-free cookware long before the phase-out was initiated. Generally, this was the case with higher quality, more expensive products, such as the Chef Caron BBQ Grill Mats. This phase-out of PFOA initiated by the CPSC explains why you will now see notices such as the “PFOA-Free Cookware” label prominently displayed on products. While it is certainly a smart move to choose those options which don’t contain PFOA, it’s also important to be aware that there is no regulation nor oversight on the use of the label, and as such you have no guarantee that the product is as represented. The good news is that by 2015 it will be completely phased out, anyway. Another important consideration in the discussion of safety, is acknowledging the fact that overheating cookware in general produces toxic fumes, and this includes aluminum, cast iron, silicone, ceramic and of course the pans with a PTFE coating, as well. Consequently, the concept of safe nonstick cookware has more to do with practice and use, than with the specific materials the pans are made from. In that respect, the best nonstick pans are the ones you use with the most care, following the directions and restrictions. Nonstick cookware is for use on low to medium heat. 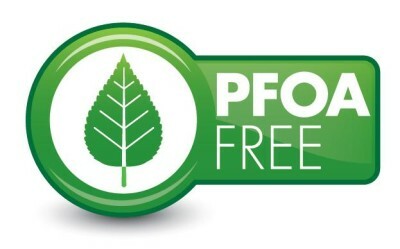 If you purchase PFOA-free kitchen products, you’ve made a good step in improving the safety factors, as long as you use your pans correctly and follow a few simple rules. Let’s take a look. Whether we’re discussing pans with Teflon coating, PTFE fabrics, or any other nonstick tools, heat is the biggest consideration. Polytetrafluoroethylene (to use the long version of the term) is extremely stable and resistant to even very harsh chemicals, but that changes when the temperature goes above 500 degrees Fahrenheit. This should not surprise you. We’re all familiar with substances that change from solid to liquid and from liquid to gas based on temperature fluctuations – water, for example. The PTFE material is no different. One area where people tend to be careless when working with nonstick cookware, is with the tools they choose. It’s easy to grab whatever tool is handy and start scraping away in your Teflon pan or your bbq grill mat. You should never use metal tools on PTFE material. It will scratch the surface and weaken the integrity of the nonstick coating. Use wood or plastic tools, or metal tools that have a silicone or PTFE coating. In addition to using the correct tools, your cooking techniques will be different when using non-stick cookware than when using stainless steel, glass or cast iron. As little friction as possible on the cooking surface is the rule, even when using silicone, rubber or soft plastic tools. With pans, toss the food by manipulating the pan and with bbq grill mats use tongs rather than spatulas. The other difference will be that you need to be careful of what types of food you’re preparing in your nonstick cookware. 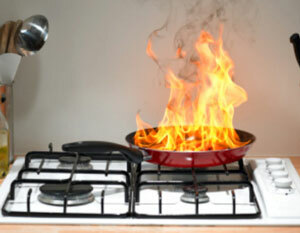 Sticky sauces that burn easily will cause cleanup issues that will wear out your cookware prematurely. Simple foods are best with nonstick surfaces and it’s also best to keep them moving rather than just letting them sit there and cook. According to a source at DuPont, the lifespan of nonstick cookware is about three or four years when using the pans according to instructions, depending, of course, how often you utilize them and what you’re actually doing with them. Use the pans carefully and get rid of them when the coating shows signs of breaking down. Nonstick pans or grill mats that are advertised as having extra layers of PTFE will last longer and hold up better, but be prepared to pay a bit more for it. Have you ever put a pan on a burner and then walked away to take care of something else? This is not a smart move when you’re working with nonstick materials. You need to pay close attention to what you’re doing, to be certain the pan doesn’t overheat. It’s also important to move your foods in the pan before they begin to adhere from excessive heat. This might not sound like a big deal, but it will dramatically extend the life of the nonstick surface. Plus, it’s a safety consideration. One of the biggest selling points of these products, especially the PTFE sheet or BBQ grill mat, is the ease of cleanup. Usually, you can wipe them off with nothing more than soap and water. At most, you’ll need to soak them first, but resist the temptation to scrub them or wipe them with scratch pads, powdered cleaners or any type of abrasive. It produces hundreds of tiny scratches. These will cause the premature breakdown of the PTFE fabric. Does safe nonstick cookware exist? Well, don’t overheat your pans or bbq grill mats. Always use them on medium heat – 325 to 425 degrees Fahrenheit or low heat. Avoid using metal tools on the nonstick surfaces. Wash them with soap and water and don’t use abrasives. Store them carefully to avoid scratching. Stop using them when the surface begins to degrade. If you do that, then the answer is yes, safe nonstick cookware does, in fact, exist. Previous PostMiracle Grill Mat ReviewsNext PostAre Grill Mats Safe?